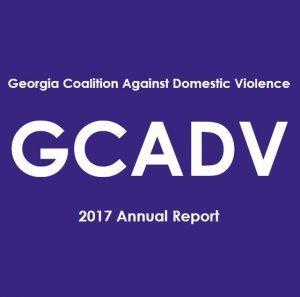 GCADV publishes guides, reports, brochures, and posters to inform our constituents and the public about domestic violence, resources available to help victims, and how GCADV is making an impact through its programs and initiatives. 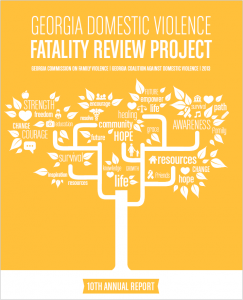 This resource material can be accessed by clicking the links below or contacting GCADV via the Contact Us page. 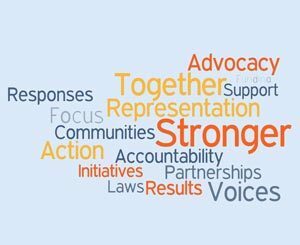 Learn more about our mission, initiatives, and projects in our annual report based on our fiscal year 2016-2017. 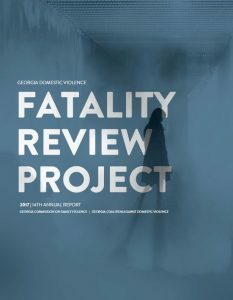 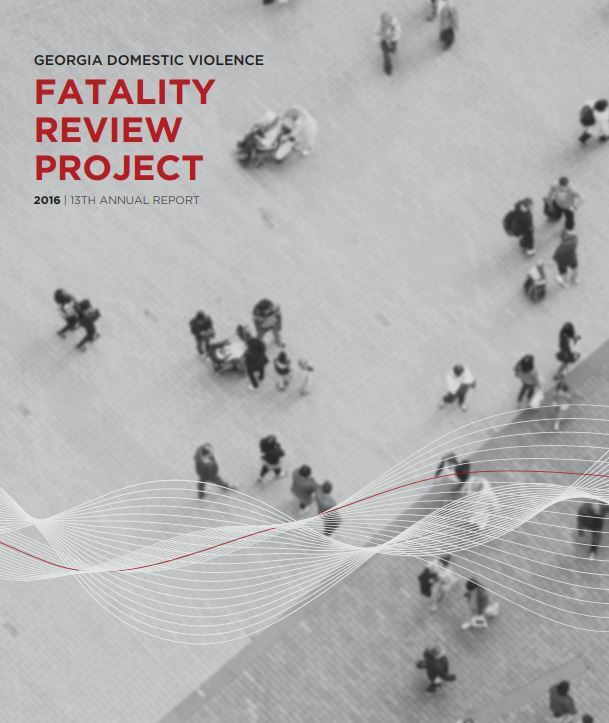 This report, a joint project of GCADV and the Georgia Commission on Family Violence, provides important findings related to Georgia’s domestic violence fatalities and offers suggestions for the community about preventing future tragedies. 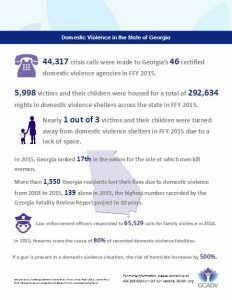 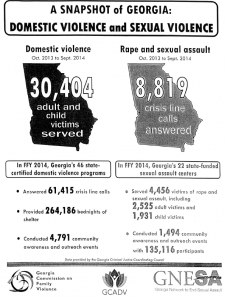 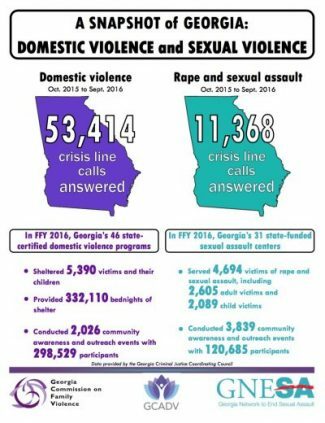 Download this infographic to learn more about domestic violence statistics in Georgia. 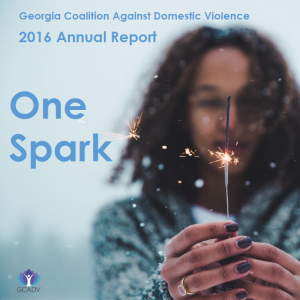 Learn more about our mission, initiatives, and projects in our annual report based on our fiscal year 2015-2016. 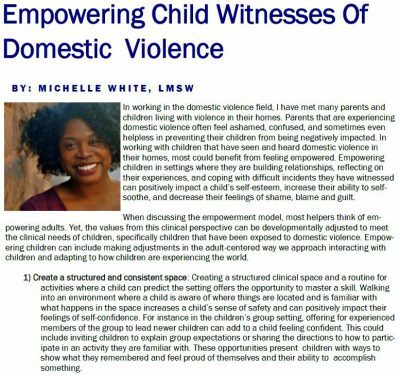 Learn how to implement the empowerment model with children who have witnessed domestic violence. 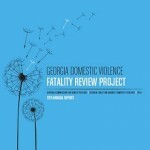 Download this report to learn more about GCADV. 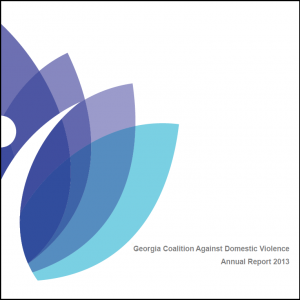 Provided at Stop Violence Against Women Day 2014, this .PDF is provides vital statistics on the state of domestic violence service providers in Georgia. 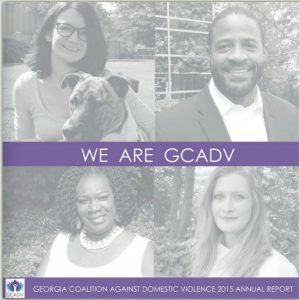 This resource guide was designed by the Georgia Coalition Against Domestic Violence to be a resource for those working with or seeking to work with teens in their local communities, school systems, or other youth organizations around the issue of teen dating violence. 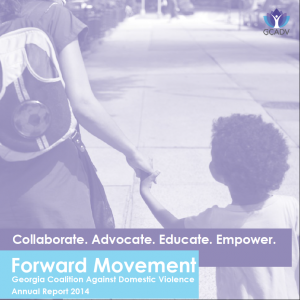 This .PDF provides a more detailed look into the services and programs that GCADV leads. 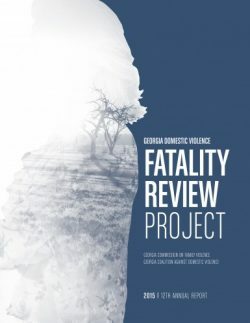 This .PDF is an excellent resource for businesses and explains why addressing domestic violence in the workplace is critical for employee productivity and safety. 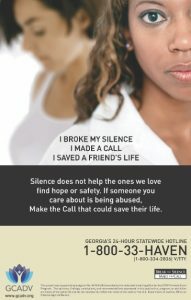 This small card is the perfect size to discreetly hand to a survivor that may need assistance. 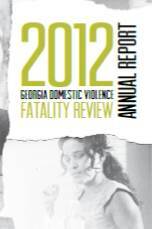 Created in collaboration with GACHI, this brochure is a resource for Deaf and hard of hearing individuals. 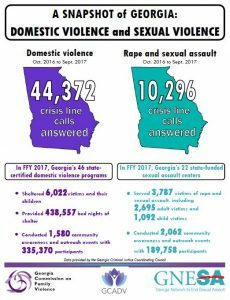 A resource for helping professionals, this pocket card provides information about screening and referrals for survivors. 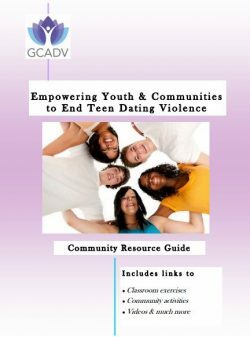 Created exclusively for teens and young adults, this pocket card addresses how teens can respond to dating violence and includes important technology safety information. 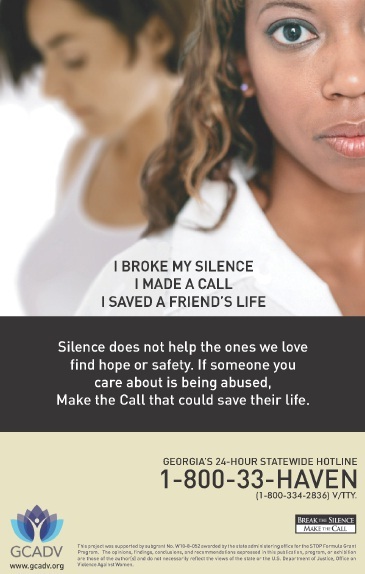 This small card is the perfect size to discreetly hand to a Spanish speaking survivor that may need assistance.